I hope you are having a great week so far! Wow, the weather has finally been pretty nice here the past few days and suppose to hit the mid 70's by the weekend :) Sounds perfect for the Memorial Day weekend! 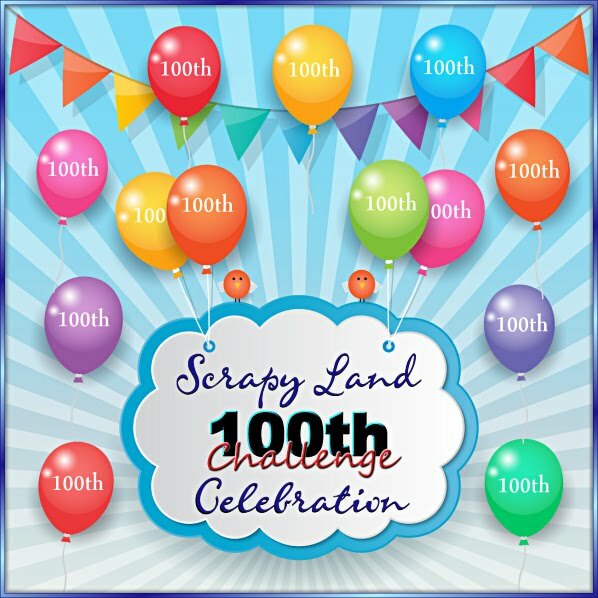 So, what are all my crafty friends up to this weekend??? We have a lot planned for the weekend~a little work around the yard, a get together with some friends on Sunday and a family BBQ on Monday :) we hope to squeeze a little time to work on our remodeling of bathroom, sauna area to! Yikes, I'm tired already, lol! I have seen a lot of these box cards lately and just had to make one and share it with you today. I found this file at the Silhouette store and cut it on my Cameo. I layered a panel on each flap which I included a small border using a Martha Stewart punch followed by a pattern piece. I'm not sure if you can see but I ran those pieces and a few others through the Zutter DIA that I was so enabled by Lisa to get. The flowers are cut at 2 1/4 and 3 1/4 from the Art Philosophy cartridge along with the leaves at 1/2". I also use My Craft Spots Rolled Roses Flower metal die for some of the flowers as well. I added small little skittles to the center of the flowers from my friend, Carri . The pattern papers I used are from EP~Sweet Girl Lori Whitlock collection. 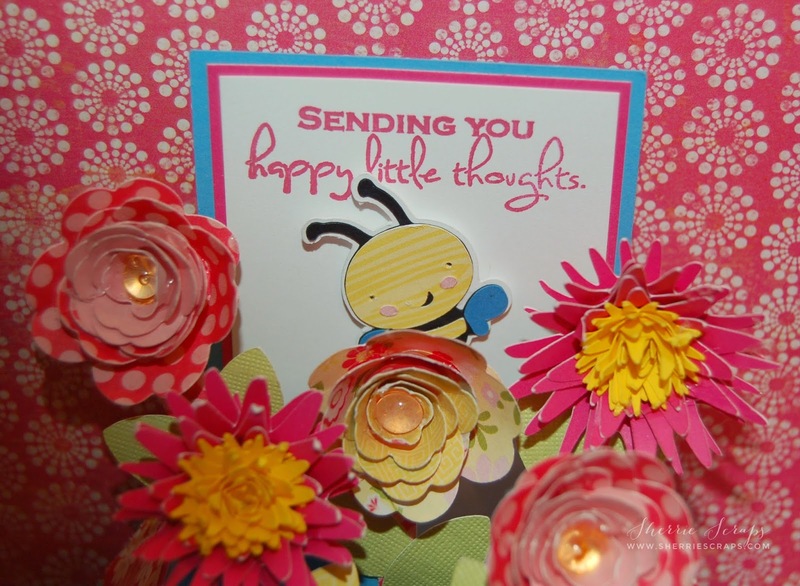 The little bumble bee's are cut at 1 1/2 from the Create A Critter cartridge~there so cute! I stamped the sentiments using My Craft Spot's Butterfly Kisses stamp set. 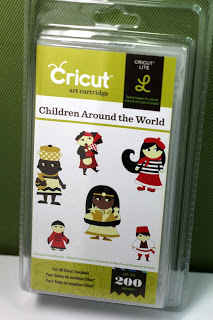 There are so many fun sentiments on this stamp set~love it! If you haven't tried one of the box cards....you should! Come on, give it a try! What a lovely box card-I just adore all those flowers you made! Thanks for joining us at FCCB this week! First of all I really like your blog make over.... Very CAS pretty! Oh my gosh, this is absolutely amazing, Sherrie!! Wow, those flowers just burst from the box in a gorgeous display of beauty!! The bees - fabulous!! And ah - the distressed edges - amazing!! I'm so glad you got the Zutter DIA!! It's so totally addicting!! This is just the most gorgeous card - it's a bouquet in a box!! Love, love it my friend!! Oh this box card is so adorable!!!! You did a fantastic job on this my friend! Love the cute little bees and those flowers are gorgeous!!! hope you are having a wonderful evening! What a fantastic card-in-a-box!! Your flowers are beautiful and I love the adorable little bees! Wait!!!! 70's ... I would need a JACKET! LOL!!!! You know I can kid about that ... cause you know how hot it is here! LOL!! I loveeeeeeeeeeee this!! LOVING all the flowers!!!!!! This is AMAZING!! Love the Super cute bugs, gorgeous flowers and Adore the fun colors!! Beautiful card! I love the colors. So many perfect details on it. Nice job! WOW! 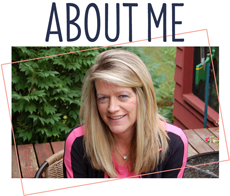 Sherrie you blog looks fabulous, I love it!! i was intimated to make one of these but it was very easy right?? I love love all those beautiful flowers. Well done and beautiful my friend! 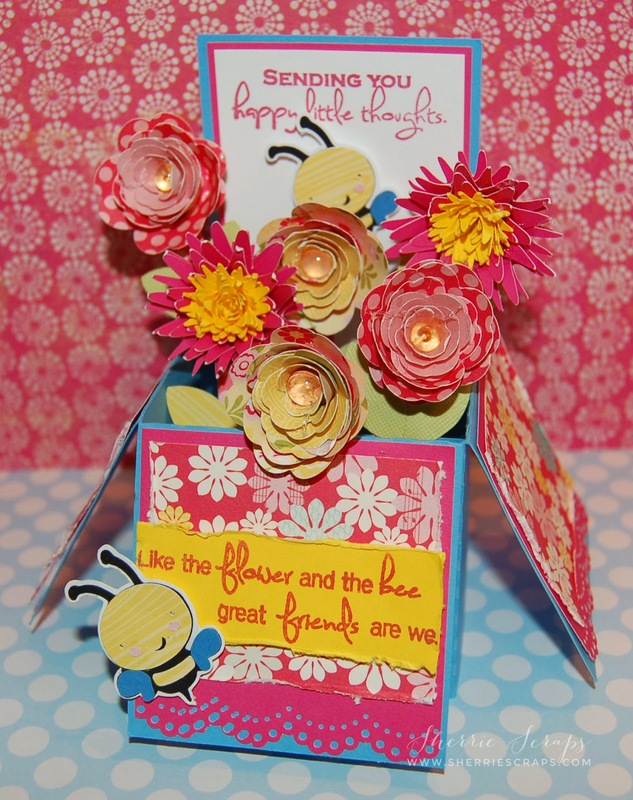 Your box card looks fabulous and love all the pretty flowers Sherrie. I used skittles in the center of each flower. 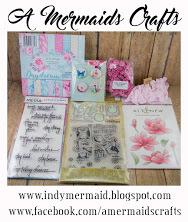 I purchased them from my good friend, Carri at Double Click Connections.. her blog link is in my post if interested! I love it, Sherrie. It's beautiful! Thank you for Linking Up at PDE Linky Party. We have a new blog address! Sherrie, Sherrie, Sherrie! Talk about amazing! Honey, you've knocked it out of the park!!! I absolutely love this card in a box! Love your bountiful box of wonderfulness! Love this Sherrie! Hope you have a GREAT day! Such a great link up! Thank you for sharing this with us. Amazing Sherrie. Love the colors. The flowers are fabulous and I love the sentiments. One of the prettiest box cards ever. Beautiful explosion box card, Sherrie. This is my New favorite "special occasion" card, and I love to make them. Yours with the flowers is so pretty, and the colors are bright and cheery. Thanks for sharing, have a nice weekend! Sherrie, this is truly AMAZING!!! I saw it on FB and was blown away, I am so glad you shared it with us at FCCB! Your flowers are incredible and those little bees buzzing around are adorable. Truly, one of THE BEST box cards I've seen - LOVE LOVE LOVE it!!! Beautiful box card!! I love all your rolled flower!! I SOOOO want a Distrezz It All!! Yay for using your Silhouette! Your box is gorgeous! Sherrie this is wonderful, I love those flowers!! This is a great project! Thanks for joining us at My Sheri Crafts! What a beautiful bouquet coming out of this beautiful card in a box !!! Love those pretty flowers, and the super cute little bees!!! Hope you have a wonderful weekend !! I thought I had commented on this gorgeous creation of yours, but didn't see it. Maybe it was on facebook? Anyway, I just wanted to tell you how much I LOVE this! I still have not tried one of these cute little box cards. I've seen so many of them, but I don't know that I have seen one filled with the flowers like yours. This is just totally darling, the flowers look so pretty and the bees are such a fun touch. This is cute as can be my friend! FABULOUS card box. I downloaded one from Silhouette yesterday, but how do you get all your flowers to close (or don't you)? They are absolutely gorgeous and the colors are perfect for this summer weather. Sherrie ~ Oh your box card is so BEAUTIFUL! I LVOE all the details and those papers! So PRETTY! Well you FINALLY have nice weather ~ Thank goodness! I am tired just reading what you did this weekend! Yes ~ I am a tad behind ! I hope to day is R & R time for you! Beautiful card in a box, Sherrie! It turned out great. Love the new blog look, too. Very nice! WoW!!!! This is AWESOME! ALL my favorite things, gorgeous colors, pretty flowers... SO GORGEOUS! I hope you had a GREAT time, sounds like tons of fun. Hope the weather stayed nice and you got to enjoy some family time!! Our weekends sound similar, lots of grilling and fun in the sun! this is soooo beautiful! love all the details that went into this! This is such a gorgeous card Sherrie!! Love all the beautiful flowers and love the colors and patterns. Your box card is beautiful. Love all the pretty flowers. So so pretty........love your gorgeous box card! I love this project... you did such an awesome job with this card. Look at all those flowers! Ohhhh, this is SO pretty! I haven't tried a box card yet. I think I'm the last one! Yours turned out beautifully!